Check Out Our Google Gadget! Used by thousands of people worldwide! 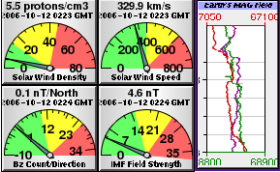 The perfect way to keep tabs on the earth's Geomagnetic field status in realtime... developed and maintained by one of our amatueur scientitsts! 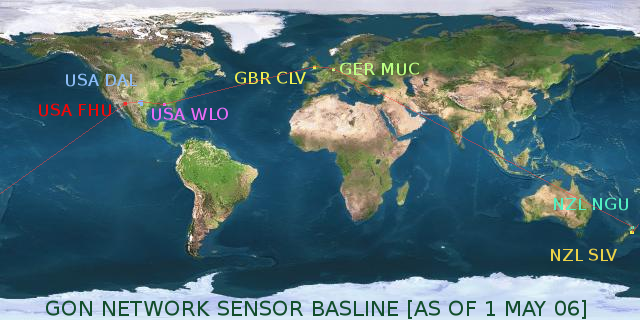 A Real-time Dashboard depicting the Earth's Magnetic Field Status as sensed by the NASA ACE Satellite and numerous Global Magnetic Field Sensors participating in the GON network. Feel Free to Join the effort by donating, > installing a sensor or just analyze the available data and post your conclusions! We invite schools and individual users to access the data and derive your own analytic conclusions. Some Students are trying correlate seismic activity to Geomagnetic data in an effort to determine if there is a possible warning system to save lives by warning when conditions consistent with earthquake activity occurs. Other students are trying to determine which of the varying Geomagnetic influences is the most volitol and should require further analysis! This data contained on this site originates from the GON sensor network, Advanced Composition Explorer (ACE), and USGS. Interested parties are encouraged to purchase GON sensors and install them, and connect it to the network to provide even more data. Please pardon our mess as this site is Constantly undergoing modification to better display the data for students and amateur scientists alike. If you have suggestions, please Contact Us! 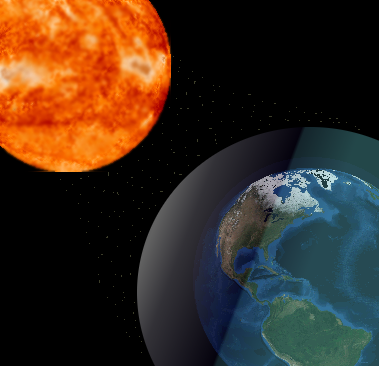 This Image Depicts the Earth's Geomagnetic Field Protecting the Earth From the Intense Solar Wind emitted from the Sun! The Earth's Magnetic field is Not a perfect sphere but is an elastic, ellipsoid which shifts and bends when the varying solar forces impact it.